The perfect starter trailer. This trailer will help you get started in the Pizza Business. The oven I install on the Pup Is a Belforno 40 ( same as a model 100) It is NSF and UL listed. 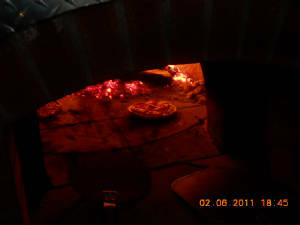 We can install any size oven, we now have colors available. We feel this unit equiped with a Belforno Wood Fired Oven will keep up with any size party or event it can handle 2 - 16", 4 - 12" or 6 - 8" Pizzas at a time. The extended landing really comes in handy when you are cooking 5 or 6 pizza's at a time. Roasting some peppers or just to rest your peel. You will need a 2 5/16" ball, a 7 pin plug in and a brake controller to pull The Pizza Pup. 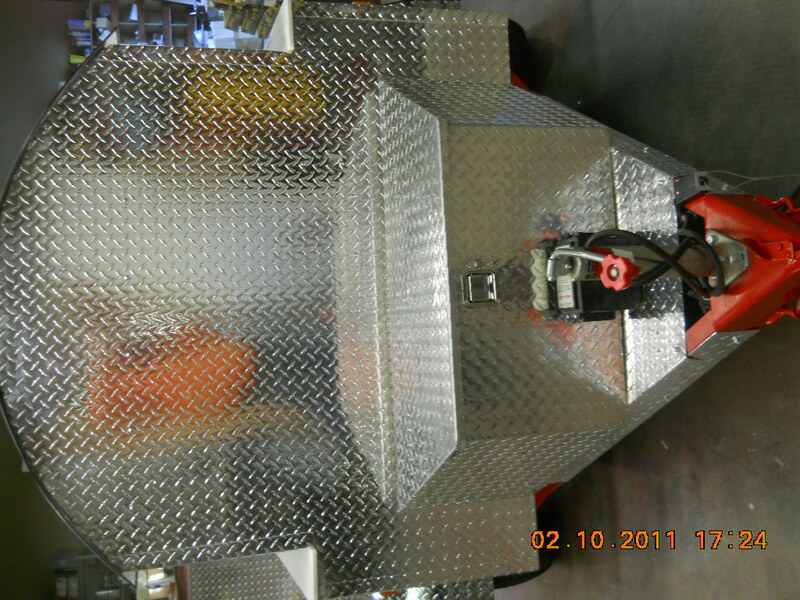 As electric brakes are Standard on all our trailers. The locking tool box stores all your peels, trays and whatever else you can think of. This trailer may be small and compact, but still packs a punch. Six 8" Personal Pizza's at a time. 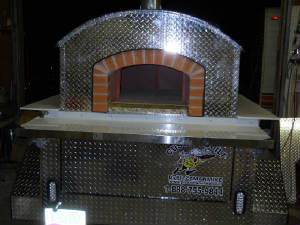 It come's with a Model 100 Wood Fired Oven, Electric Trailer Brakes and Tool Box.